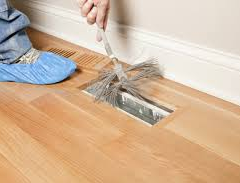 Fresh Duct Cleaning Melbourne is a unique experienced team of skilled professionals who offer the finest one to one client service. We know with continuous education through NADCA, our continuous investments into new Duct C Cleaning Technologies, our brilliant safety record and our commitment to provide the best service that we are a unique team of committed duct cleaning experts that you will not find anywhere in the Melbourne. We have a service that is reasonable, quality and tested.